At 5 Star Billing Services, we provide a complete and cost-effective billing and collections service that maximizes your reimbursements and cash flow. Our team removes the stress of time-consuming coding and accounts receivables processes from your staff, allowing you to run your business more efficiently and with improved profitability. 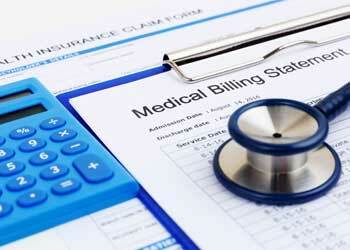 How Do Our Physical Medicine Billing Services Work? Our comprehensive services ensure that you will save time and money on billing, in addition to receiving payments faster. We offer a complete evaluation of your practice and accounts receivable to accurately identify the best solutions. We swiftly and accurately take care of your medical coding, using certified professional coders to ensure maximum reimbursement. We look after patient input, statements and follow-up for no extra charge. We submit all claims electronically so that you collect reimbursements faster. We utilize the most advanced computer systems and software specifically suited for physical medicine. Our advanced technology enables all claims to be submitted electronically, giving you convenience and peace of mind. When you partner with 5 Star Billing, our team of coding specialists utilize their knowledge, experience and expertise to maximize your reimbursements. Our adjustment rates are some of the lowest in the industry and we consistently deliver higher than average returns on every processed claim for our clients. With several years experience in an array of health specialties, including physical medicine, our coding specialists are also CCS-P and/or CCS credentialed so you can have complete confidence that we assign the correct ICD-10, CPT, and/or HCPCS codes.